If you’re thinking about getting proper grooming right, then investing in a quality hair clipper should be among your top priorities. Sure, you can head to your trusted barber to have your hair or beard shaved or trimmed but you can also do it yourself right at the comfort of your own home using a professional-grade trimmer. 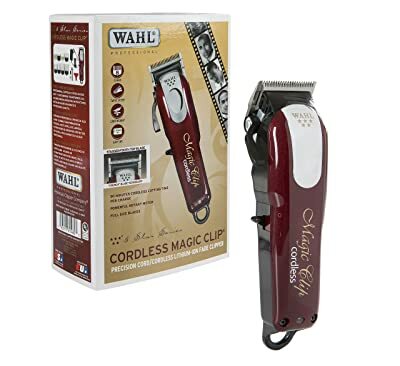 Having your very own hair trimmer provides you with the flexibility and cost efficiency as opposed to going to the barbershop every now and then. It’s high time you man up and get your own grooming kit starting with a trimmer and if you don’t know where to start, then you can begin with these simple tips on choosing the best clipper for your use. Cordless is the way to go for the man who’s consistently on the go as well. Given our tips on getting the best cordless hair trimmers, you can now look through our reviews of these top-rated clippers in the market. The Remington PG6025 All-In-1 Grooming Kit and Trimmer may be small compared to its peers but it sure packs in a whole lot of punch. Don’t underestimate what this sleek-looking trimmer can give because it can cater to all of your grooming needs using the 8 attachments that it comes with. Also, being constantly on the go would not be a problem with this one given its 65 minutes of cordless runtime. This whole kit comes with a pouch, making it very easy to carry around especially on trips. 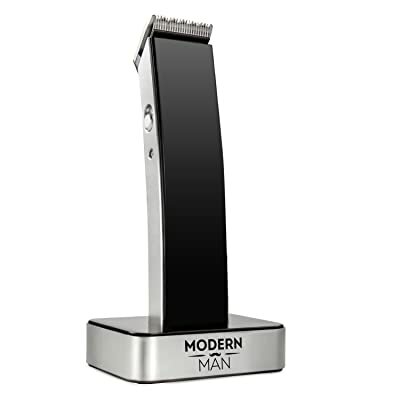 Truly made for the "modern man", this cordless hair trimmer would easily catch your attention with its sleek and dapper design. Of course, it offers way more than that with its one-stop solution in which you can use it to trim and cut your hair, mustache, beard, sideburns, and other body hair. This stylish cordless trimmer can be used while you’re on the go. It’s cool and minimalist style, alongside its lightweight and ergonomic design, make it such a great choice for the modern man! 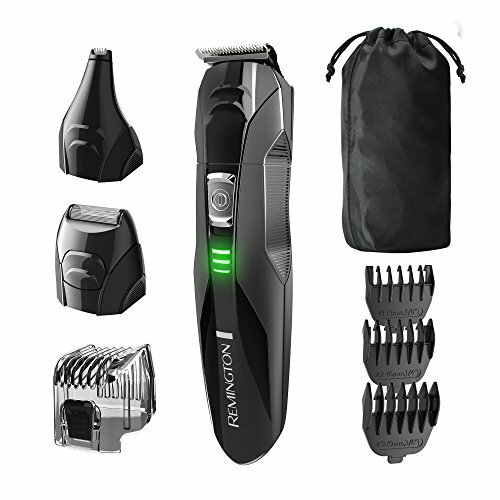 This trimmer truly ranks as one of the best cordless hair trimmers given its ease of use and the fact that it doesn’t take up too much space. There’s really not much to complain about with this model as it provides you with larger returns in terms of efficiency for what you have. However, if you’re the type who wants more guarantee and assurance in the trimmer you’re getting, you might want to also check out other and more well known brands. 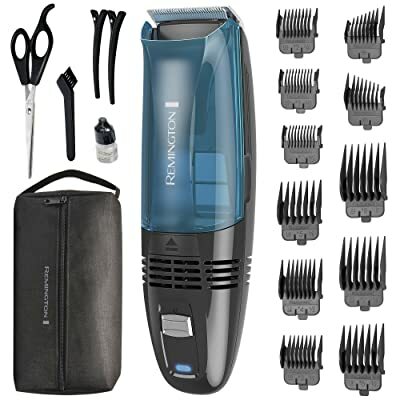 If long-term tool is what you’re after, then you’re in for a treat with the Remington HC6550 Vacuum 18-piece Haircut Kit, that comes with just about anything and everything you need to groom yourself in style right at the comfort of your own home. It features titanium-coated blades for extra precision and can run up to 60 minutes after proper charging. We highly recommend getting this if what you need is a top-grade professional quality cordless haircut kit to use at home. Many users have been raving about this versatile and highly functional trimmer. However, there are some that have encountered battery and charging problems, which is quite a prominent (but not applicable to all models) among Remington trimmers. If you intend to purchase this model, it’s highly recommended that you get from a reliable retailer in order to have an original and brand new product. The best cordless clipper of your dreams could literally be at the palm of your hands with this Remington HC4250, which showcases an ergonomic design that’s tailored to fit your palm for easier maneuvering. You can use this to target those hard-to-reach areas and get the job done with up to 40 minutes of cordless runtime. What sets this model apart, first and foremost, is its style, shape, and design. It’s not your typical elongated trimmer and it’s specially designed to work around hard-to-reach areas such as the back of your head, neckline, and around the ears. It also has a unique extra-wide curved blade, which guarantees higher efficiency and precision with the blade perfectly contoured to your head, as it provides maximum coverage even with short, thick hair strands. If coverage and efficiency is what you need, then this trimmer could be the right answer to all of your haircutting and trimming woes! The downside of this model is that it doesn’t provide the same level of versatility that most cordless trimmers have. For one, it’s only meant to be used for haircut and not for trimming hair in the nose, ear, and eyebrow areas. Given its fixed curvature design, those with oddly shaped heads might find difficulty using this, as it would not fit the head just right—making it an ineffective hair trimmer overall. You might also encounter battery and charging issues as well as reported by some users—similar to other Remington models. If what you need is a versatile trimmer, then you may find better luck with other brands and models. If top-grade is what you need - as in to the level of professionals and whatnot - then that’s exactly what you’re going to get with this 5-Star Magic Clip from Wahl Professional. 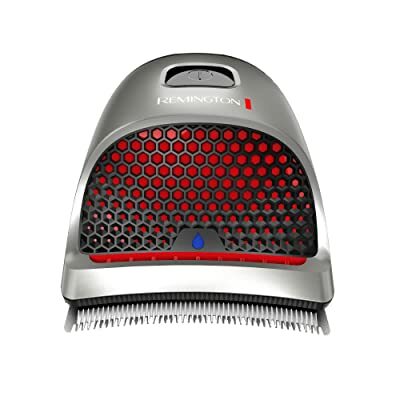 This kit includes 8 attachment combs, oil, cleaning brush, red blade guard, and a recharging transformer. It also boasts of a mind-blowing 2161 blades that offer the highest possible accuracy rate and can reach up to more than 90 minutes cordless runtime on a full charge. You’ll certainly be amazed at this clipper whether you’re using this at home or at your very own barbershop. This one comes highly recommended by professionals and how could they not adore this model? It can reach up to a very long 90 minute run (and more) on a single full charge. But the best part about it is its high precision zero-overlap set of blades (2161 blades to be exact), which really goes above and beyond par in terms of the rest of the best cordless hair clippers available in the market today. Given that this model is seen as one of the more high-end trimmers available in the market today, it’s quite disappointing to note that there have been several performance issues with this trimmer. Among the problems is battery and charging issues - some units died after just a few months and uses. There’s also quality problems regarding the clippers being easily broken and gets rusted over time. You may want to skip on this one first and opt for a more tried and tested, yet affordable, trimmer in the market. Know what you need and get the model that could give you exactly that and so much more. The higher the number of grades, the easier it is to use the trimmer. The average number for most brands would be 8 grades, and that’s enough to provide you with different cutting options to suit your needs. Also, make sure that the design would allow you to easily maneuver and work your way through different areas of your head, face, and body. To go cordless or not to go cordless? That’s the golden question and it could mean a world of difference with the model you’re getting. Cordless trimmers come highly recommended because it provides you with easy and breezy trimming minus the risk of getting all tangled up in the cord. But of course, you also have to be diligent in recharging the unit or in replacing the batteries every now and then. What in the box? The number of extra accessories differs from one model and brand to another. It’s completely up to you what you intend to get but in order to get the most bang for your buck, it’s better to look for extras such as different-sized combs, blade guards, cleaning brushes, storage pouch, lubricating oil, and so on. What’s your budget? Whether we’re honest about it or not, the price really plays a big role in every thing we purchase. However, what you should really prioritize and determine is if a certain model meets your requirements and has a track record (based on reviews and recommendations) of getting the job done. If you’ve found the model that might fall a little beyond your budget, you might want to consider the investment anyway. Given its benefits that far outweigh the disadvantages, cordless clippers are the way to go as recommended by both professionals and lay people alike. The key to finding the best cordless hair clipper, given a wide range of possibilities and features available in the market today, is identifying your unique needs and finding the model that would best suit such needs and requirements, the cordless running time, the design, and so on. Build on that and get the one that could also give you more features and extras so you can certainly reap more benefits for the amount you’ve shelled out. This way, you’re guaranteed to get the best cordless trimmer to ensure getting the job done in relation to your regular grooming needs.